Looking Ahead: Where Will Performance Shops Be In 2038? Water pump failure can happen at any time during the year. Depending on the season, your customer may see different symptoms, and not understand the root cause. We’ll point out below a couple of symptoms that vary with the season, and some that stay the same all year round. 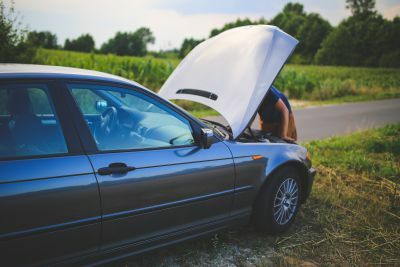 When not addressed in a timely fashion, a failing water pump can cause the engine to overheat and seize. It is usually a gradual process, but there are many tell-tale signs to look out for in order to catch the problem early on. Any time a customer brings in a car with the following symptoms, it’s highly recommended to check out the water pump. Check for coolant leaks at the weep hole and gasket. Listen to the water pump while it’s running. Grab the pump pulley and check for bearing play. What Causes a Water Pump to Fail? Worn/improperly installed belt: A belt that’s either misaligned or too tight can make the water pump seize. Dry running: A water pump that’s running without coolant or low on coolant (due to a leakage) lacks the lubricant needed to keep the seals in working order. When seals overheat, they fail and cause even more coolant leakage. Flush and fill the coolant on schedule: Coolant breaks down over time, and people sometimes add water to it. Both increase the chance of corrosion inside the pump. Use the right coolant: Manufacturers use different materials for water pumps and engine gaskets. They specify coolant that won’t damage anything in their engines. Why Use a Quality Replacement Water Pump? A well-built water pump will be more reliable and reduce comebacks. A cheap water pump is bound to fail again, causing a comeback and a warranty issue. It’s in your shop’s and your customer’s best interests to install an aftermarket water pump that’s reliable and well built.